It takes a place of NOTHING to have SOMETHING placed in it. Does that comment make any sense to you? Well, it is odd, I must admit, but it came into my thoughts this morning — inspired by the Faith Barista’s post today. Are you feeling empty? Dry? Alone? Just off the top of my head I can think of many examples in the Bible of people who must have felt alone and empty. Abraham and Sarah: They were in their old age and childless. I can speak as someone who was married for 16 years before becoming a Mom … people can be cruel with their comments and questions. Moses: He was sent to take a stand against Pharoah. A man who was insecure about his own abilities to speak. Noah: Creating a huge ark when there was no rain. Can you imagine the comments and sneers he received? Tamar: Given as a wife to two wicked brothers. Both husbands were killed by God due to their wickedness. Her father-in-law, Judah, withheld his last son fearing he would die as well. Tamar was left to grow old without a child. She came up with a plan to trick Judah to become pregnant by him. 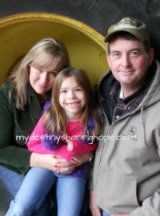 She came close to being killed — burned alive. Mary and Elizabeth: Both had empty wombs. Both wombs were filled miraculously. Mary must have felt alone, terrified of what people would think. What would happen to her? What would Joseph think? Elizabeth couldn’t bare a child in her old age. She was empty. Dry. Peter: He denied Christ THREE times. He was ashamed and at the end of his rope. Paul: Blinded at first by the one he persecuted. Jesus: Abandoned, rejected, persecuted … yet was innocent. I could go on and on with examples of Old Testament and New Testament patriarchs (and of course our Savior). Each experienced places of emptiness, but GOD had a plan. God created something in those empty places! God sees the past, present, and future. He prepares those beautiful empty spaces. Think of a nest. The birds prepare a place for those precious little eggs to rest. The nest had to be there BEFORE the gift of the eggs. Sometimes we have to be empty as well. Empty of our own agendas. Empty of our own striving. It is a place of preparation. Believe that there is HOPE in your situation. God will fill those empty spaces with His Spirit and with His Purposes. 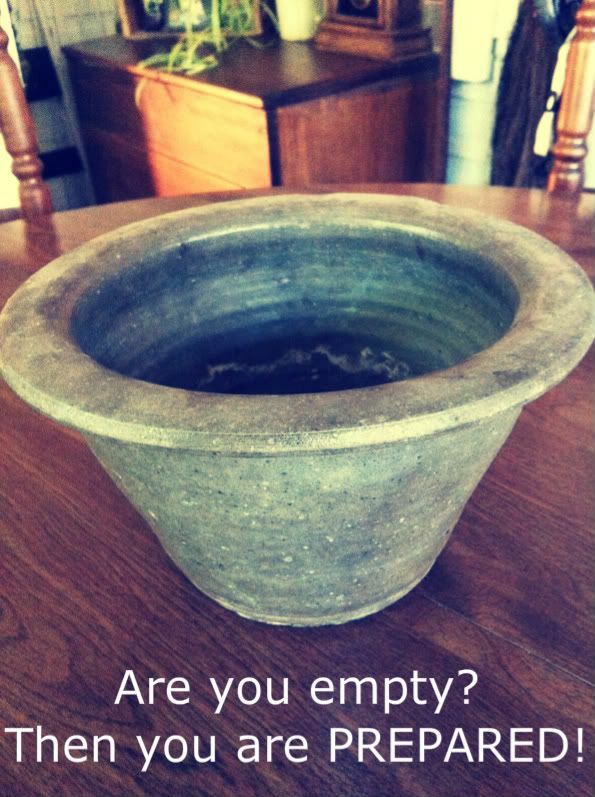 Are you empty? Do you feel dry? REJOICE, because NOW you are PREPARED! Sister, I TRULY needed this reminder today. If I'm emptied than God can use me. I think I need to be praying to be emptied, instead of allowing myself to dread the emptiness. Another reminder that God uses ALL things for good! This is a wonderful reminder. It also reminds me to wait on God to fill those spaces. Wonderful Teaching and one that I need to hear today . Beautiful post. We can be encouraged that dry seasons are God seasons. Thanks for this reminder. So often I get inspiration after reading Bonnie of The Faith Barista's post. She hits on topics that get me thinking too Beth. But you're right. I believe we need to come to God empty, asking Him to fill us. Too often I have my own agenda of what I think I can do for God. But surrendering my plans, my strengths are what I need to do. Then He can do His work in me and through me. I'm loving your posts Beth. I've prayed led a couple of the sets recently in the Prayer Room. Just tonight they were singing for God to "fill me up". I began to pray that He would first empty me so that I can be filled. I think I stuff too much of myself into this vessel at times. I know He longs to fill every crevice of my heart! Wow, what a timely post for me. After the murder of my neighbor I have been quesioning God and his reasons, while watching his beloved family struggle through this. I will share this post with them. What a profound quote Beth. I love it!